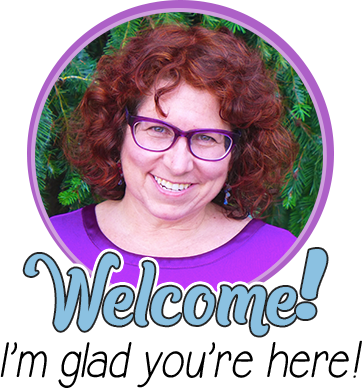 Friends, I’m Monica Schroeder, and I am so excited to be writing this guest post for Minds in Bloom! 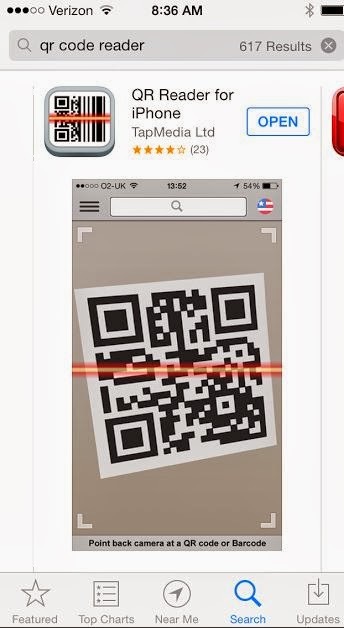 The amazing Rachel Lynette has allowed me to share my Close Readings with QR Codes! 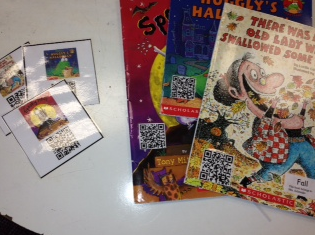 I am here to show you how my students have been using QR codes to practice their reading skills. 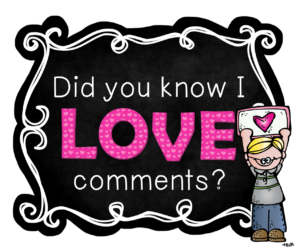 Now, please know that we have been practicing our close reads all year in our guided reading groups, so my kiddos are pretty familiar with how they work. 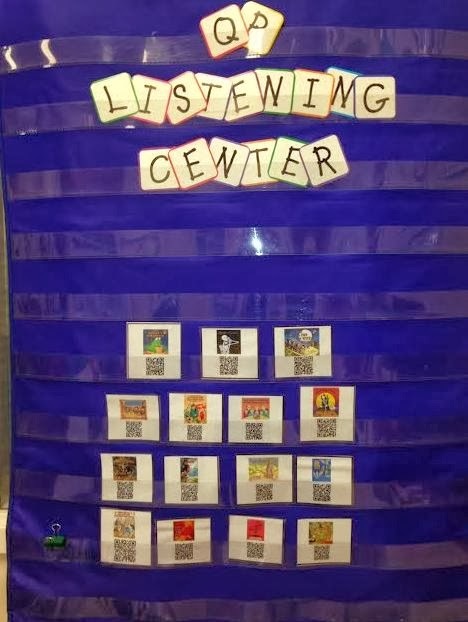 The first thing I did to get them ready for the independent work in reading was to bring the QR codes to my regular listening center. I chose some books based on the season, and I read the books into a voice recorder on Vocaroo. It is simple and so easy to do! Honestly, you just click “Record” and begin reading. 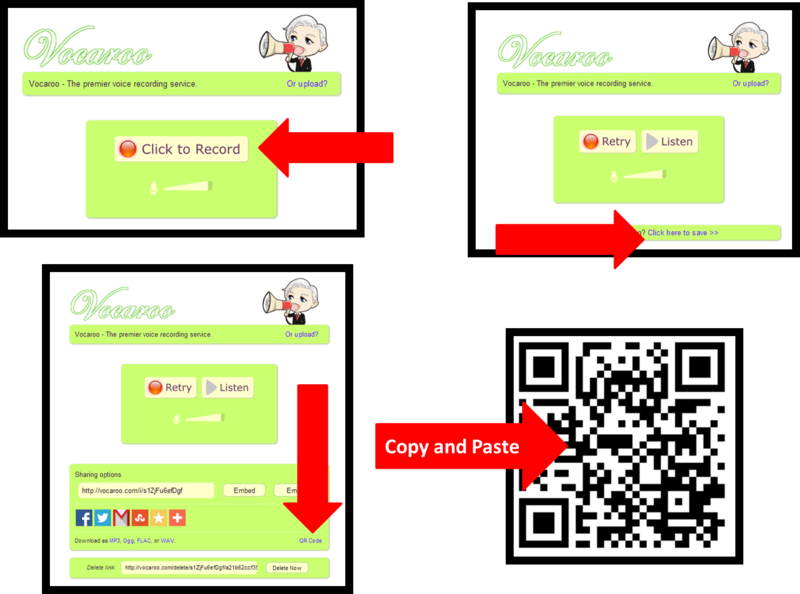 Once you are done, you hit “Stop” and choose “Save.” Then, I click the “QR Code Option,” and Vocaroo generates it for me! I have put together several seasonal book codes, and I have them in a pocket chart in my listening center. I also add the code to the front of the book. Below are the steps I use in Vocaroo! Check them out below! 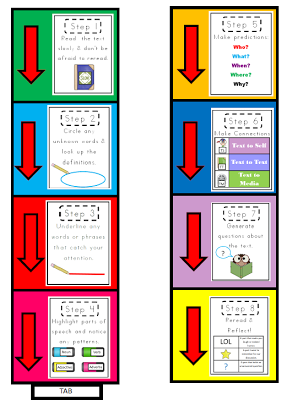 Click the picture to download some FREE codes for your classroom! 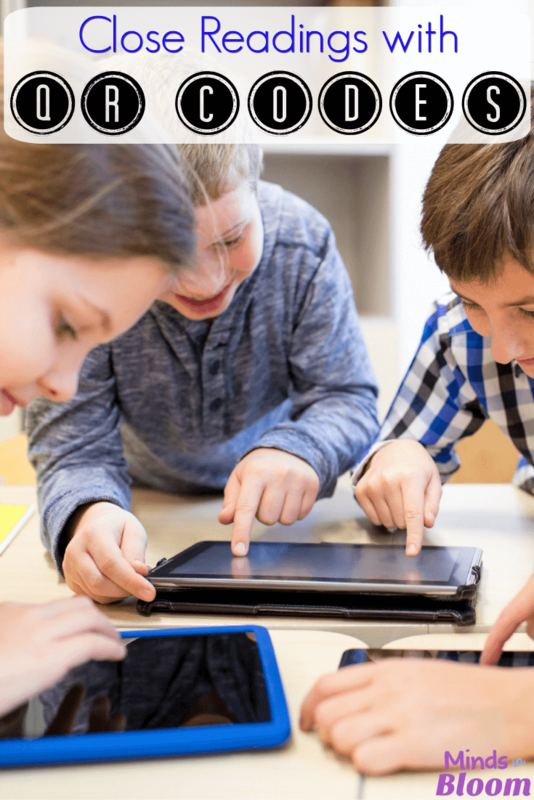 My students then use a free QR scanner (which you can get in your app store) on our classroom iPads to listen to the books. Here is a close-up of some of my books. Check out a video tour of my listening center! This year, I decided to put all my listening center items, such as tape players, tablets, iPads, and headphones, onto a wire cart. My kiddos can now pull it out into the classroom to utilize all the supplies. So on with the close reads! What is a close read anyway? A close read is when you take a passage and analyze it in great detail. 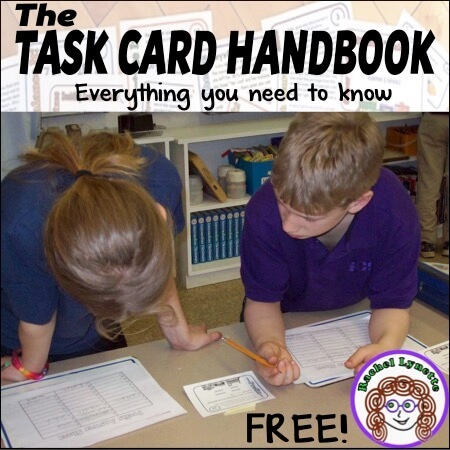 It is an important skill for readers because it is a building block for more complex analysis. This is an example I like to show my students. 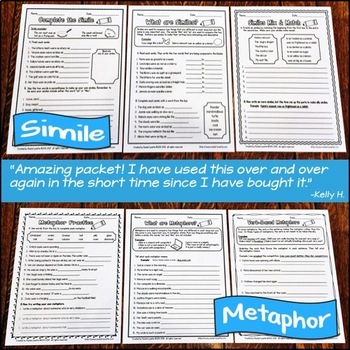 The turning and talking is perfect for allowing the students to refer back to information and questions that they have about the text. 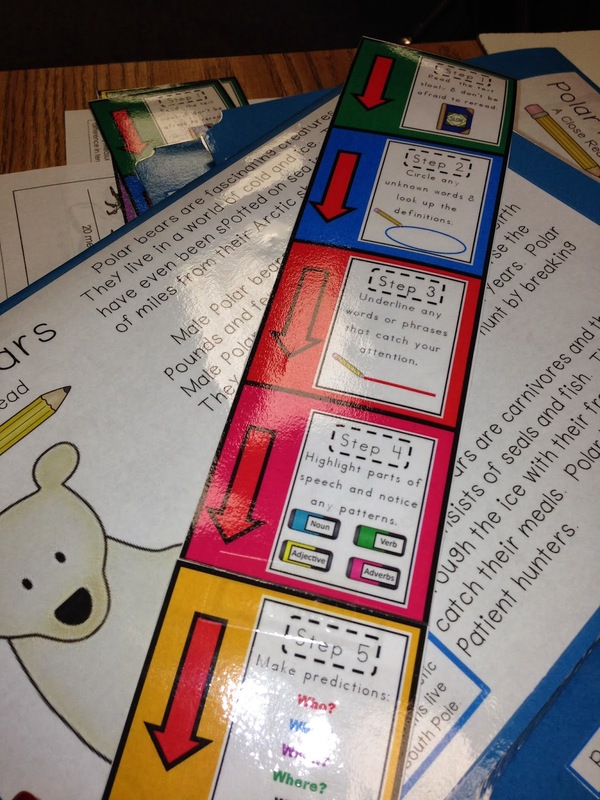 When I started my kiddos on close reads, I created these bookmarks to help them stay focused on the text. They consist of eight basic steps of a close read. Read the text slowly. Don’t be afraid to read it twice. Underline any phrases that catch your attention. Highlight parts of speech or patterns that seem important. 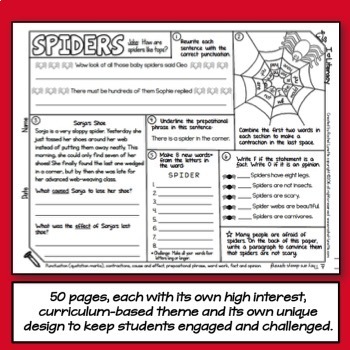 Generate questions about the text. Be sure to have them number their paragraphs too so that they can site their information easily. My kiddos know they need to PROVE their thinking with words and facts! 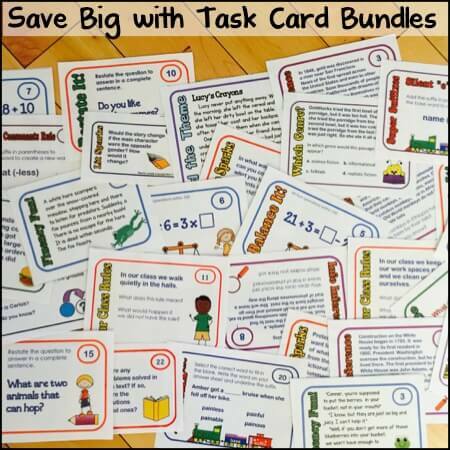 I have to tell you that these babies are the key to my kiddos success! They even use them in math! 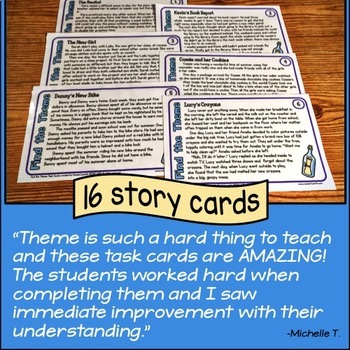 To help my students transfer our guided close reads to independent close reads, I just added these bookmarks to my listening center, along with these fun files! 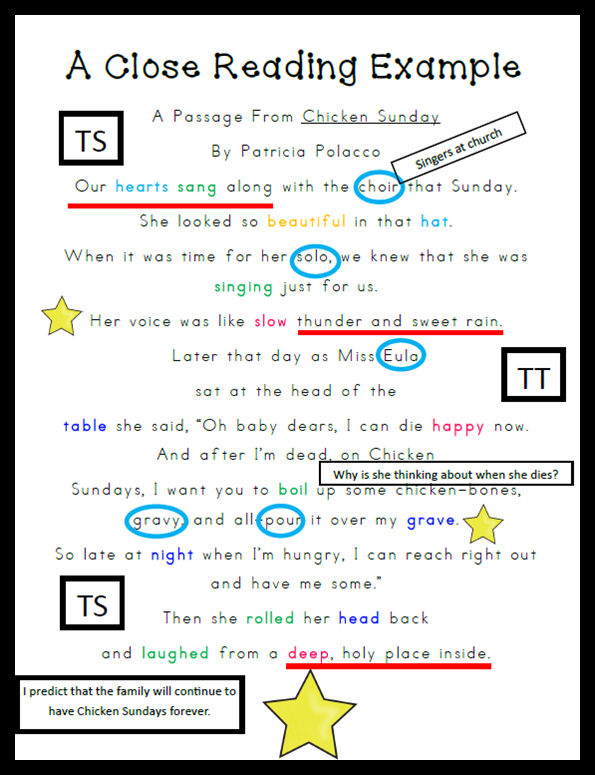 Watch this video and see how I put these close reads together! 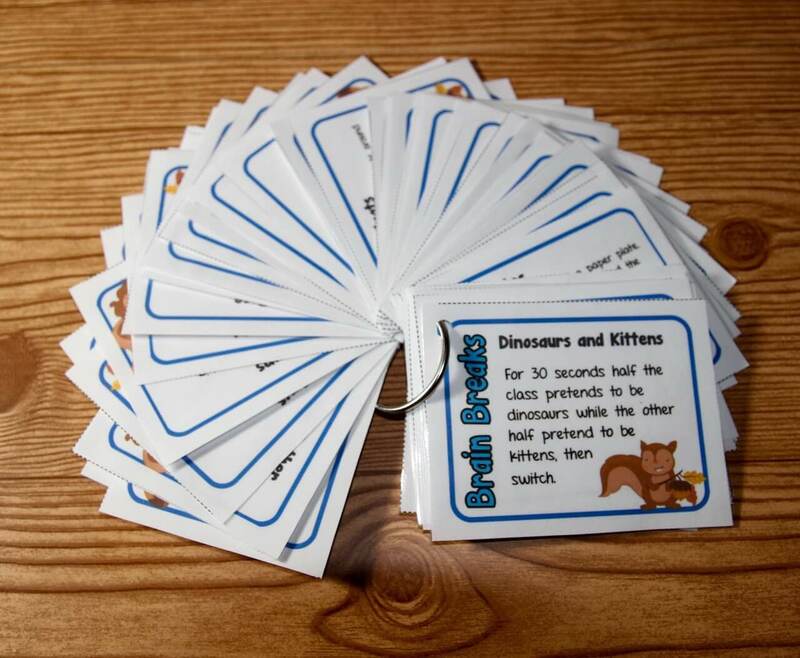 Now my students choose from my different QR Code Close reads, grab a bookmark and a dry erase marker, and off they go! 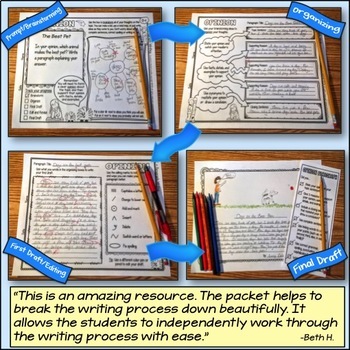 The ability of marking up the text helps my students stay focused and allows them to free up their thinking. 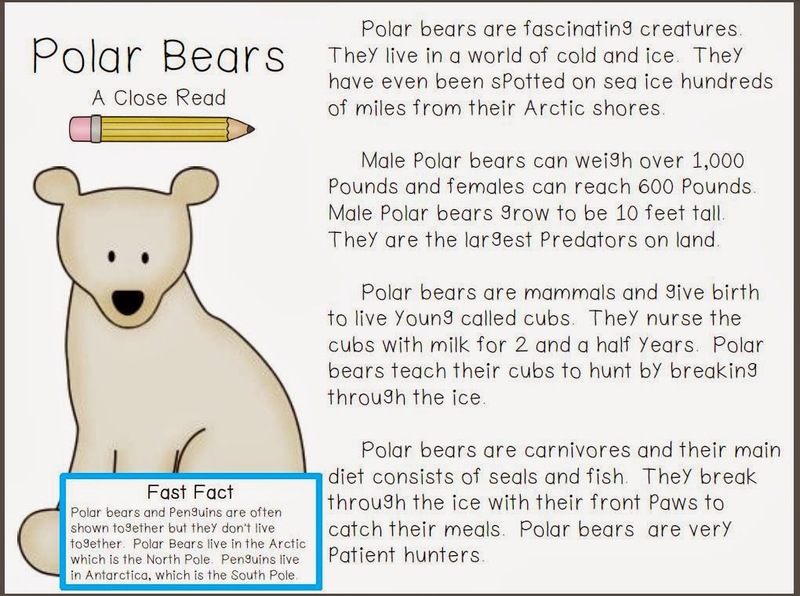 You can download a FREE copy of my Polar Bear Close Read. It is the one in the video. 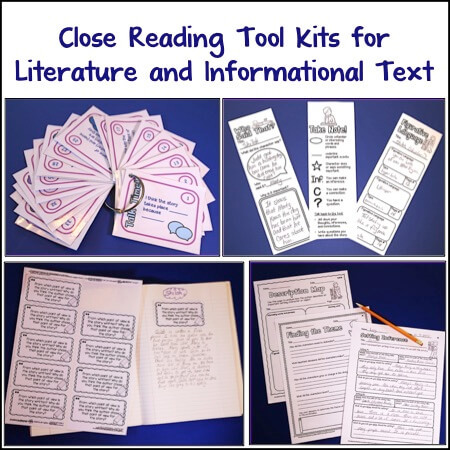 If you are interested in finding more of my close read packs, please visit my store. Thanks so much for hanging til the end! I would love to see you over at The Schroeder Page. Click my blog button below to visit my blog. 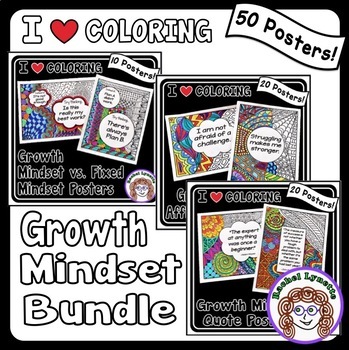 Be sure to leave a comment and tell me you are from Minds in Bloom! Thanks so much to Rachel Lynette and Minds in Bloom. I had a blast putting this together, and I am hoping you all will give it a shot! HAPPY CLOSE READING! 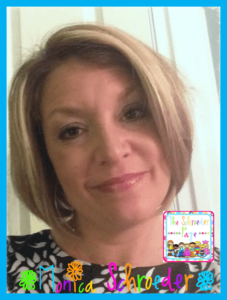 My name is Monica Schroeder, and I am a 2nd grade teacher in North Carolina. I am in my 14th year of teaching in grades K-2. I also am the founder of the Blogger page The Schroeder Page, Behind the Scenes in 2nd Grade, and my self-hosted site. 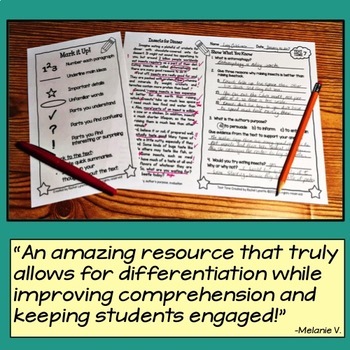 Both are teacher resource sites that provide a glimpse into my classroom and my teaching. Or visit me on Facebook! Head to my tabs to download my Facebook Fan Freebies. I am always adding new ones! If you are needing more of my shenanigans, then you can find me on Pinterest and Instagram, too!